Upper Level Recording Studio, based on the campus of Kentucky Christian University, offers a professional quality recording studio environment for students to enhance and maximize their training in audio engineering. Upper Level Recording Studio utilizes the latest in audio technology for students to receive “hands-on” studio experience. 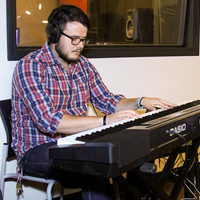 Offering a major in Music Business and a minor in Audio Technology, KCU incorporates the studio in the educational experience so students are able to engage in a real life studio atmosphere. 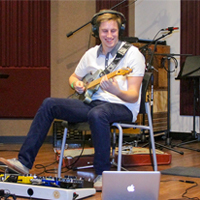 The recording program navigates each of the areas of audio engineering, and teaches students to become experts in recording, editing and mixing. The studio, which is also available for outside client projects, provides a comfortable 900 square foot tracking room along with 125 square foot isolation studio. Incorporating state-of-the-art equipment based around the ProTools HD recording format, which also utilizes the Digidesign C24 control surface, Upper Level Recording Studio offers the ultimate recording experience incorporating over 35 years of professional and award winning engineering. Call or email Stephen Hoffman for additional information and rates.